The closer we get to Black Friday, the more leaks we're getting and they are all proving to be kind of... well, mediocre. 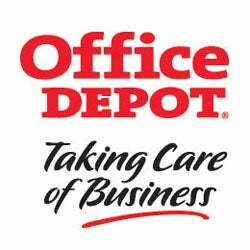 This one from Office Depot is not bucking the trend, but they do have a few good deals on smaller items. It'll be nothing to clamor for, arms flailing and shrieking like a harpy, at 6am on Friday morning, but if you happen by a neighborhood store, here's a couple things that could be worth dropping some cash on.